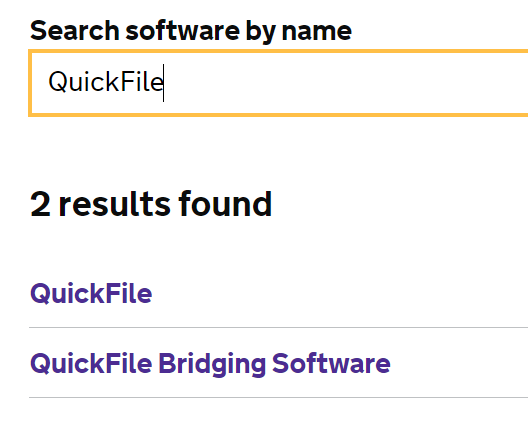 HMRC are no longer showing Quickfile as suitable software for MTD Bridging VAT returns. Our bridging solution has been reviewed by HMRC and they have agreed to add the relevant listing to the HMRC MTD Software Provider list. We’ve chased them again, it should appear shortly. I can confirm that our VAT Bridging Software is now individually listed with HMRC.